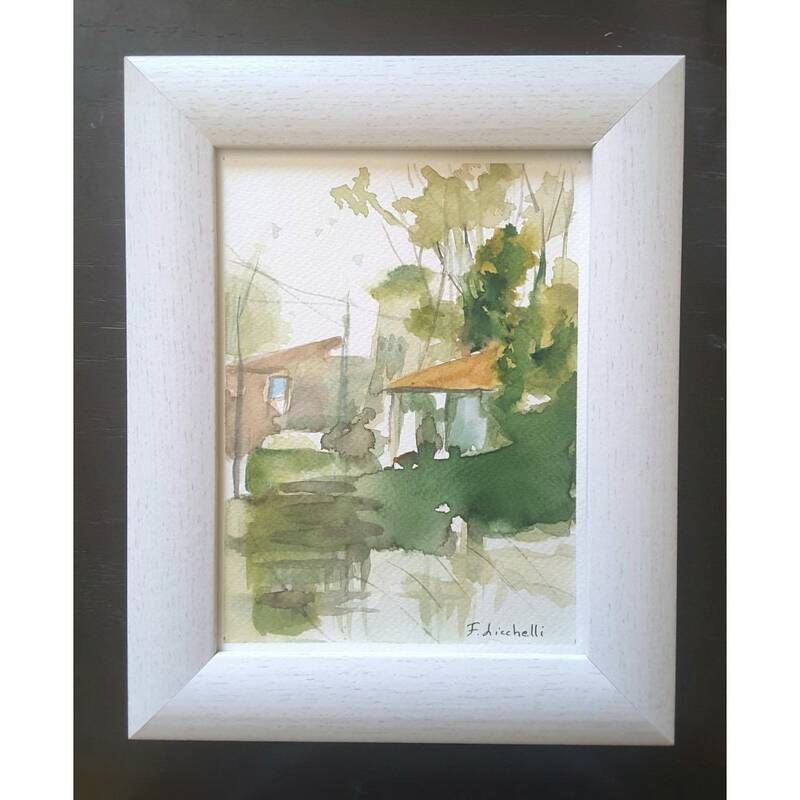 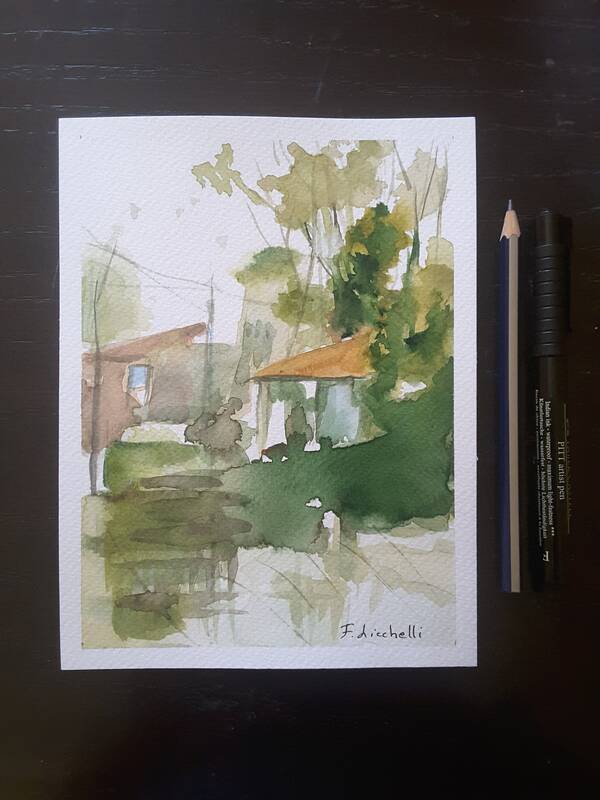 Watercolor with frame, landscape with houses and trees in the forest, copy of author, lounge, living room, office, studio decoration, decor. 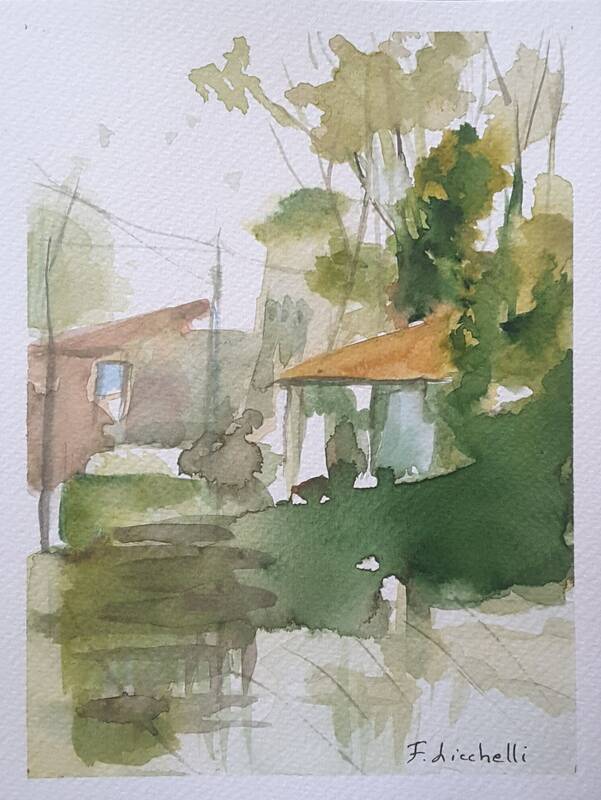 Watercolor, landscape, rain forest, ooak, one of a kind, copy of unknown artist. 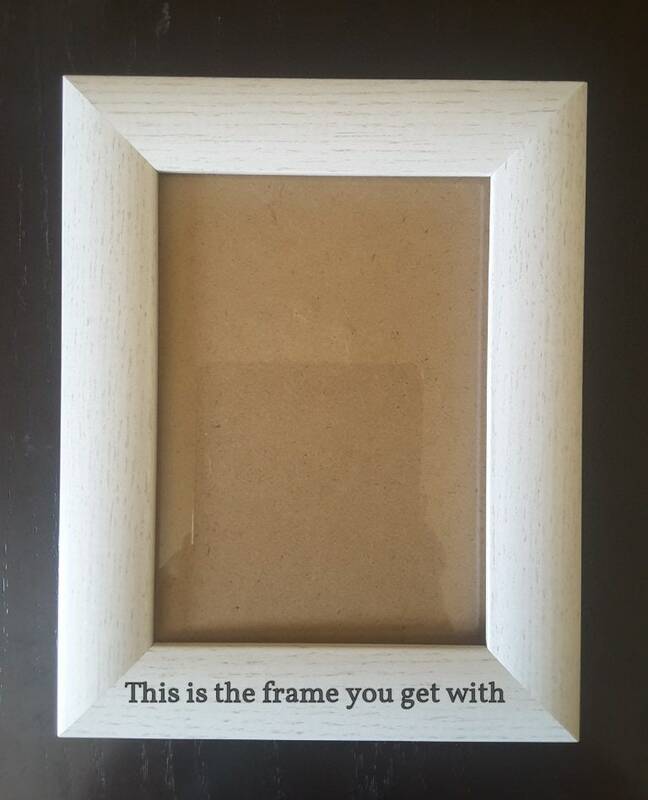 Dim. 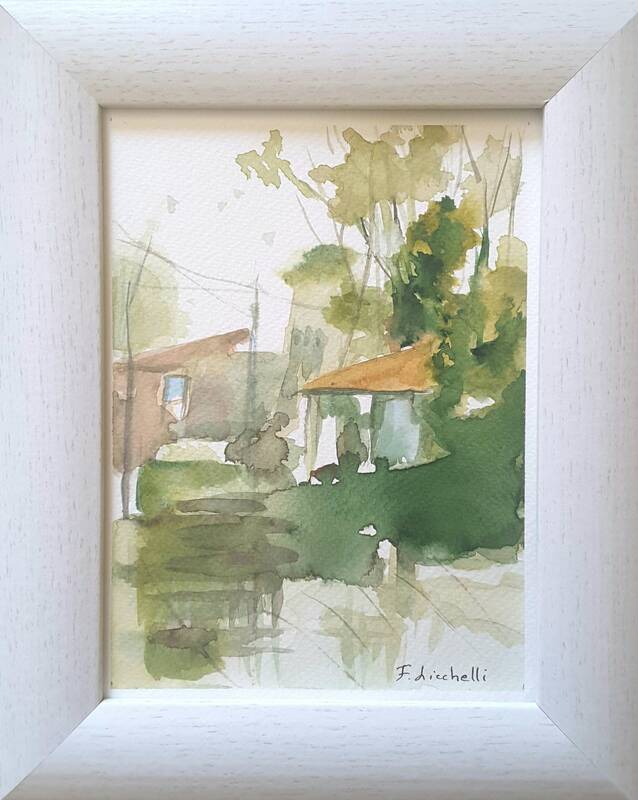 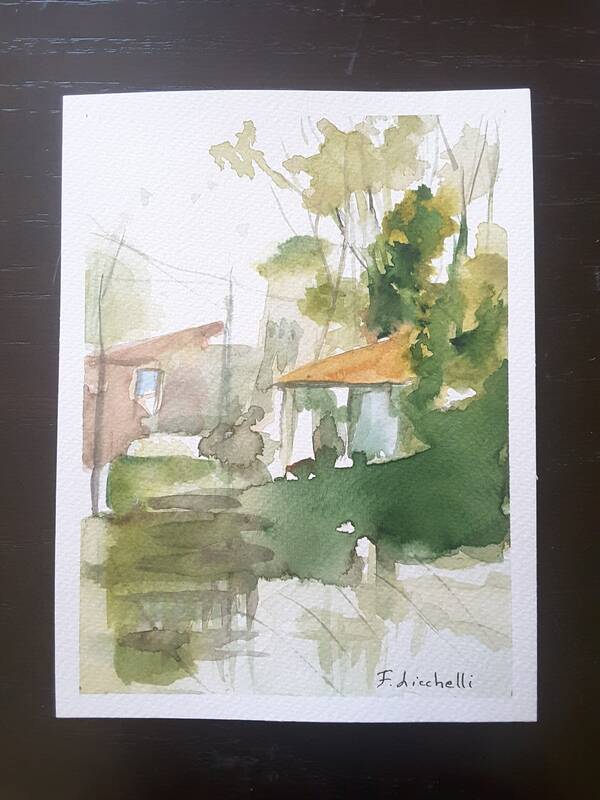 with frame: 20,7 x 25,7 cm/ 8 x 10 inc.